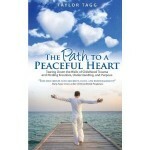 Taylor Tagg is best known for his gentle, easy way that inspires and invigorates audiences from the inside out. Taylor uses a wonderful mixture of stories, images, and humor to make solid sticking points that get to the heart of the matter for everyone's improvement. Taylor's passion for sharing life improvements carries in his voice and expressions. He cares deeply about his audiences and that shines forth in all of his communication. Taylor uses a combination of his twenty years of experience in business (AutoZone, ServiceMaster, and FedEx) and his thirty year journey to peace and emotional balance to give his audiences useful, practical tools to leap forward in a big way. The Path to a Peaceful Heart - Based on his book of the same title, Taylor takes the audience on a thirty year journey to his beautiful moment of Peace and Total Freedom from the conditions of the past that once dominated him. Follow Taylor through the PEACE Process, the definitive five steps that led him to break the chains of fear and tear down the walls of mental anguish forever. Through God's love, Taylor describes exactly how he claimed an unchangeable inner peace and a zest for living beyond the conditions and circumstances that life presented him. Audiences are wholeheartedly inspired and energized by the depth of The Path presentation. The Life Changing Power of Forgiveness - What is forgiveness and how can you do it? Taylor takes you through the inner working of forgiveness, dispelling myths about what forgiveness is and what it's not. Taylor then guides his audience through the eight steps of forgiveness and he demonstrates how it can improve your health mentally, physically, emotionally, and spiritually. Taylor references one of the greatest masters of forgiveness (Jesus Christ) and the indelible marks he left as a result of his work. Taylor finishes by giving the audience easy to use, practical steps to incorporate forgiveness into their daily lives. 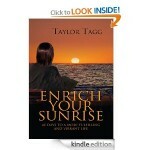 Enrich Your Sunrise - Based on his book, Taylor gives the audience an enlightened guideline for how to stay positive in all circumstances of life. Taylor's 40 Day program to greater vibrancy and fulfillment gently walks the audience through the pillars of personal success. Taylor also covers why positivity is so important at home and at the office. 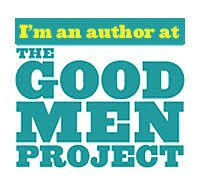 He provides the audience with easy to use, practical tools to focus on positive thinking every day. Enrich Your Sunrise is a moment of personal development inspiration to last a lifetime! Emotional Intelligence: Three Master Techniques to Thrive When the Heat is On - How do you get control over your emotions when the pressure of work is in overdrive? How do you remain calm in any and every office situation? Let Taylor teach you the valuable tools of Emotional Intelligence! Taylor walks you through the landscape of self awareness, giving his audiences the critical knowledge of how to keep calm in any and every circumstance! Taylor also navigates the nuances of social awareness and how to pick up and interpret the subtle emotions of others for the ultimate success in your career. Forgiveness In the Workplace: How to Let go Effortlessly and Move On Quickly - Why do we seem to get stuck so easily at work and with our co-workers? Because we linger in a state of unforgiveness for too long. Taylor will give you an in depth look at Forgiveness in Business, what it is, what it is not, the benefits of forgiving, and the costs of unforgiveness (this could lower a company's health care costs!) Taylor will also share the simple, easy to apply tool to forgive and move forward quickly. It's so easy you'll wonder why you didn't think of it sooner! Adversity - The Best Teacher of Your Life: Three Evergreen Tools to Transform Tough Times into Beautiful Assets - Is adversity and defeat something you just have to endure to get to better times? Is there a better way to approach adversity that will help you overcome it faster? Indeed there is! Follow Taylor as he takes the audience on a journey of learning from and using difficult circumstances to get your needs and desires met in a new way. Taylor shows you how to turn around life's difficulties to boost your self esteem and guide you on a path of achievement! Taylor tells great stories and offers exciting new research to elevate your mental mindset to the highest level of victory and accomplishment. Diamonds in the Rough is a presentation to invigorate your mind, heart, and spirit to meet the challenges of today in a complete and fulfilling way! Leader in the Light: Five Foundations to Inspire Harmony and Leave a Lasting Legacy - Taylor gives the audience an enlightened guideline for how to stay positive in all circumstances of life and inspire harmony in the workplace. Taylor's program to greater vibrancy and fulfillment gently walks the audience through the pillars of personal and leadership success. Taylor also covers why a lasting legacy is important to business and how you can be more proactive in focusing on it. He provides the audience with easy to use, practical tools to leave a legacy behind for others continued success. Become a Leader in the Light! Taylor travels from Memphis, TN.